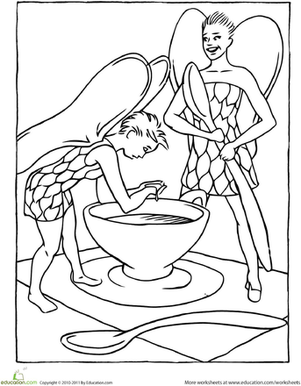 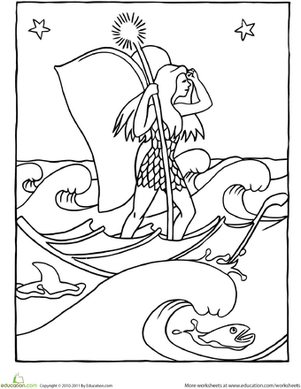 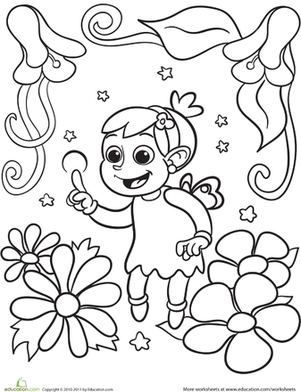 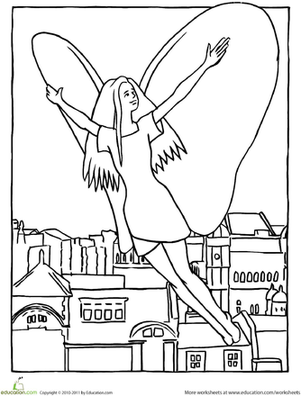 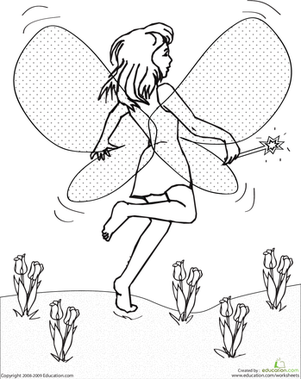 What little girl doesn't love a good fairy coloring page? 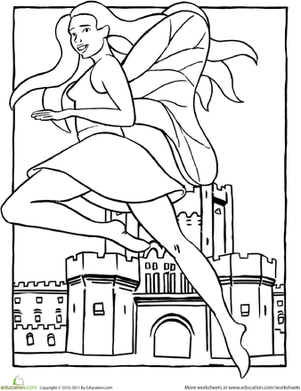 She'll have a blast coloring this pretty fairy fluttering outside a fairy tale castle. 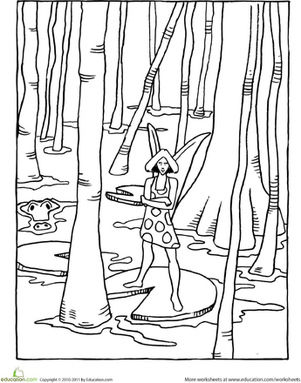 For a change of pace, try this swamp fairy next!